These comments will go directly to Flower Shop Network. This is NOT a method of direct communication with GALLERY OF FLOWERS for the purposes of ordering or rectifying problems. No words can express how happy the arrangement made my wife. Thank you! Yes, your flowers are beautiful as always. You delivered them as instructed. that was Friday, today is Tuesday, and looking as fresh as day one... Thank You! Once again y'all nailed it! Thank you for being part of our special day and bringing a smile to my wife's face! Thank you so much for your review! We are always happy to put a smile on her face. We appreciate your business. Great service, ordering from Australia you are sometimes unsure of the service but you and the delivery person were fantastic. I was actually chatting to my friend when you delivered. Speedy service, great website as well. Honestly I did not know what to expect. Yet when my wife received her flowers she cried. The arrangement was magnificent. Thank you for being part of our special day! Flowers were delivered in time. Gallery of Flowers is the ONLY florist I use. There is always an arrangement that is perfect for my wife. She love that she gets to enjoy them for at least a week. The flowers are beautiful! One of the best arrangements I have ever received! Hope he orders from you guys again. Thanks for the review! We are glad you liked the flowers and we hope to deliver to you again! My flowers were absolutely beautiful!! The flower arrangement is beautiful! Really appreciated the follow up email with tips for caring for my arrangement. Always efficient & polite in dealing with both personal & church orders. My flowers were absolutely gorgeous and beautifully arranged....I expect no less from your store. The flowers were gorgeous and smelled so good! They arrived the morning of my birthday and were delivered to my office where all my coworkers commented on how beautiful they were! I love fresh flowers and this arrangement was absolutely stunning! It's been 4 days since I received them and they still look as beautiful as the day they were delivered. I was away on my original delivery date and the arrangement was delivered as requested on a later date. The flowers were beautiful and I was very pleased with the quality of the flowers and the service. Thank you! I was VERY pleased with my arrangement--I took many photos as I plan to do a still life painting featuring these beautiful flowers. The colors were perfectly put together and all were fresh and vibrant! The whole presentation was just stunning --and I really loved how delicious the chocolates were--want to know if I can purchase more? The deliveryman was warm and professional as well, in spite of my dog acting up! THANKS --really first class! My flowers are beautiful, as always! Gallery of Flowers delivered same day and when they had to deliver a bit earlier, they called and told me. Plus, my friend was very happy with the quality and design of the flowers. They lasted for a couple of weeks! Will use again. Order was delivered very prompt and they looked even better than picture displayed. I will be using them again and will recommend to friends and family. order 4844740, thank you, i'm told the flowers were beautiful and appreciated.....John L.
The arrangement was beautiful and the flowers have lasted all week. They have brightened my desk and made me smile. Thank you Amy for your review! We are so excited to hear that you have enjoyed your arrangement this week! We hope we get to brighten your day again in the near future! The flowers were fresh and gorgeous. My daughter loved them and couldn't have asked for a more beautiful bouquet. Thanks for making her special day a little brighter since we couldn't be together. Thank you so much for your review! We are so happy to hear that you were satisfied with your purchase and that your daughter loved her bouquet! We hope to continue to serve you in the future for all of your special occasions! We are so glad to hear you were happy with the arrangement we made for you! We hope to create more beautiful arrangements for you in the future! My mother stopped by to pick up a quick bouquet on my wedding day and not only was the hydrangea bouquet absolutely beautiful, but it has lasted for a week after. I am so thankful you were able to put something together so quickly, and it really made our wedding pix extra beautiful. I will use you for all our future floral needs! Thank you for being so helpful and friendly to my mom, she said you were lovely. My husband surprised me with a stunning bouquet of flowers and they are absolutely gorgeous -- one of the most beautiful bouquets I've ever received. The flowers still look great four days later and I've only added water to the vase so far (haven't cut stems yet, etc.). Just beautiful! We are happy to hear that you loved your arrangement! We strive to give our customers the best experience and freshest products available. We hope to continue to serve you and your family for all your future occasions! These flowers were sent as a gift for mother's day and my MIL loved them! They looked better than pictured, we were so pleased. You just delivered flowers to my daughter who is a teacher. She said they are so beautiful. Thanks for always sending beautiful arrangements. You are the best. Flowers were pretty. Delivered on requested date. Received confirmation of delivery. My arrangement was beautiful, as always! I recently had flowers sent to my best friend who is undergoing chemo and wanted to brighten her spirits with flowers. The arrangement she received was absolutely beautiful, literally a rainbow of colors, so vibrant and cheerful. She was so happy to receive the arrangement. I would most definitely recommend Gallery of Flowers to anyone who needs floral arrangements sent. The floral arrangement was delivered to my workplace. 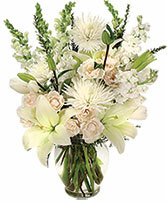 It was a beautiful arrangement of cream Lilys and roses. I had so many compliment throughout the day on them. I always look forward to seeing the creations from Gallery of Flowers. Thank you and keep up the outstanding work that you Do! My wife couldn't stop talking about how much she loved her flowers! Excellent in every way! Always a pleasure ordering flowers from GALERY OF FLOWERS. Delivery was on time. Thank you guys. 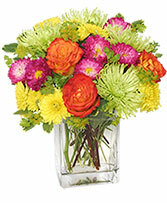 Easy to order, flowers arrived very fresh and the arrangement was beautiful. Will definitely recommend to others. The roses were healthy and beautiful. The arrangement was perfect. Every aspect of this order was exceptional... thank you! The flowers were absolutely beautiful. Every now and then, I get flowers delivered that are not what I had hoped for but in this case, they exceeded my expectations. Family of recipient was pleased with the floral arrangement. Bouquet was beautiful, great last minute service and turnaround time! Thank you so much for your positive review! We appreciate you business very much! The centerpiece was beautiful. Exactly like picture. Thank you! Flowers looked great and were delivered on time. My flowers were absolutely gorgeous, and, will last a good while I am sure. Thank you. Very nice Flowers and delivery on time. Great job! flowers were amazing I love that arrangement. The flowers were absolutely beautiful! They also lasted a long time. My friend was thrilled with them. Thank you so much! Cynthia, We are so glad to hear that your friend loved their arrangement! We try our best to make every occasion special for everyone! We hope you continue to remember us for all of your future occasions! Thank You. Flowers are BEAUTIFUL!!! Gallery of Flowers always does an exceptional job. Our company has used them for years and they never disappoint!! People were busy but very accommodating. Highly recommended!! I always try to order local when I can. They called me when they had to make a minor substitution. Then folks here went above and beyond to deliver flowers to my daughter at a remote office at UNCC. I ordered a corsage and boutonniere for my daughter's prom. She's ecstatic with the gorgeous blinging band they have and their customer service is SUPERB and swift! 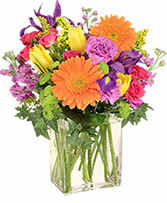 The arrangement I received April 15 was the most beautiful assortment of Spring blooms we have ever seen. Everyone who has seen them has commented on the fabulous arrangement! My daughter who is an interior designer has taken your information to use and pass on to her associates! I definitely wanted a 5 star review.....hopefully I can go and change that! I mistakenly gave a ONE STAR review earlier today.....THIS DEFINITELY WAS A MISTAKE AND SHOULDHAVEBEEN A 5 STAR REVIEW, The most beautiful Spring assortment we have EVER received....will use Gallery of Flowers every time! 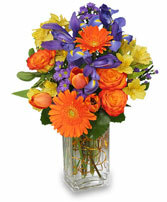 I totally trust Gallery of Flowers to provide professional and personal service. The arrangement was beautiful! Ordering online was a breeze. My mother loved her flowers. The arrangement was beautiful. Very beautiful arrangement and great service. Will be a return customer. As always your service is impeccable and the floral arrangement was gorgeous. I use you often as my wife works at UNCC and you always make me look like a hero! Loved the service I experienced from Gallery of Flowers. What I ordered was sent to the recipient exactly when I requested and the arrangement was beautiful!!! The arrangement was gorgeous ! She appreciated the uniqueness and color, and they lasted a long time. I will order from you again, thank you! Always pleased and impressed with my floral arrangements. My Valentine's roses are beautiful. Absolutely made my day and they seem to be holding up very well. Thank you! Absolutely made my significant other's day at work! Thank you so much! Love my roses. They are beautiful! The ladies I work with admire them everyday! I was very pleased with the flower arrangement!! The flowers were beautiful and I received great service!!! Beautiful roses. I am thrilled with the flowers. Great service. Not much else to say just great service. I will definitely use them again. As a florist, I definitely give this florist a 5 star rating! I could tell by my aunts description and expression that Gallery of Flowers gives great attention to detail and goes above and beyond to meet expectations! Thank You for surprising my family with a gorgeous & fresh fruit basket upon their move from Ohio to NC!! Wonderful customer service and the floral arrangements are beyond wonderful. You are amazing!! Great service and got our flowers delivered when promised! They were beautiful, many thanks and best of luck! Thank you for delivering on short notice and under extreme circumstances! Thank you for the rushed delivery! They were beautiful and presented as requested! The flowers I sent were just beautiful. I gave special instructions for delivery and they were delivered per the instructions. This is a top notch flower shop. I use them quite often. Flowers were beautiful and lasted as always! Very pleased. Unique arrangement that my wife loved! Great same day service, the order was exactly what I asked for and delivered quickly. The service and delivery was great. Thanks. You help make wife happy and indicate how much I love to the ladies in the office.